Credit: Alexandra Avgustinova, IRB Barcelona. Cancer develops as a result of the accumulation of mutations in our cells. These mutations are not distributed evenly in our chromosomes, so some regions hold more than others. A study headed by the Institute for Research in Biomedicine (IRB Barcelona) and published in the journal Nature Cell Biology examined whether the opening of chromatin (a complex formed by DNA bound to proteins) is the factor that determines the accumulation of more or fewer mutations in given regions. The work concludes that the drugs used to inhibit epigenetic factors–whose function is regulated depending on whether the DNA is more open of more closed–may alter the pattern and number of mutations that tumours accumulate, which could “even be detrimental for patients,” state the researchers. The study warns that special care should be taken regarding these drugs since although their anti-tumour effect may be beneficial initially, it can trigger the development of more aggressive tumours later on. 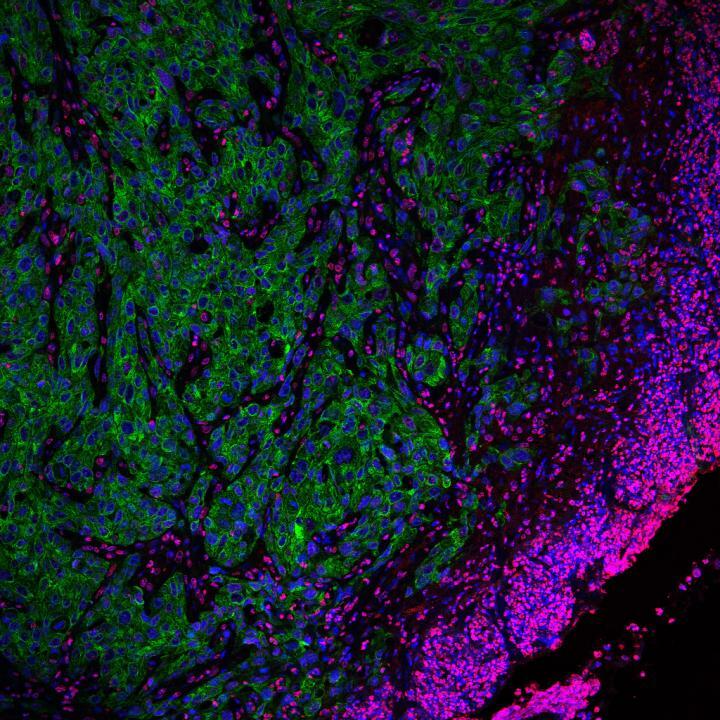 “We are not saying that this is going to happen in every case, but it is something that needs to be studied in greater depth before deciding whether drugs targeting epigenetic factors should be used in clinical practice or not,” says Salvador Aznar Benitah, head of the Stem Cell and Cancer Laboratory at IRB Barcelona. This research also indicates that chromatin opening leads to large genetic alterations, such as duplications and the loss of different regions of DNA. The scientists observed that, due to this effect, in the beginning cancer cells were weakened and the tumours stopped growing when epigenetic factors were inhibited. “This finding would make you think that epigentic factors are good therapeutic targets. But the genomic instability that occurred also brought about the appearance of mutated tumour cells, which eventually developed highly aggressive tumours”, explains Alexandra Avgustinova, postdoctoral fellow at IRB Barcelona, first author and co-corresponding author of the article. This work has been done in collaboration between a biomedical lab and a computational lab. “These kinds of collaboration are increasingly necessary in order study the tumour genome, the causes of tumour mutations, and the development of new potential anti-cancer treatments,” says Fran Supek, head of the Genome Data Science Laboratory at IRB Barcelona. The research has been funded by the European Research Council (ERC), the Catalan Government, the Ministry of Science–through ERDFs, the Botín Foundation and Banco Santander through Santander Universities. Alexandra Avgustinova is the recipient of a Marie-Curie Postdoctoral Fellowship and a grant from the Ministry of Science, Education and Innovation (MINECO).